Blues, the down-and-dirty foundation of most popular music — rhythm and blues, rock 'n' roll, rockabilly, country — tells our stories of suffering, sadness and sorrow, and how we rise up out of the mess and start all over. It connects us and sets our troubles free. The grit is real. Lovers of the blues have a whole day of the good stuff when the 17th annual Buddy Brown Blues Festival slides into Blue Lake's Perigot Park Saturday, Aug. 5 with music starting at 11 a.m ($12, $10 advance, free for kids under 12). Playing homage to the memory of Richard Duggins (better known as Buddy Brown), who opened the festival the first year and passed away shortly after, the festival is a showcase of the area's best blues musicians and is a benefit for the Humboldt Folklife Society Folk School Program. 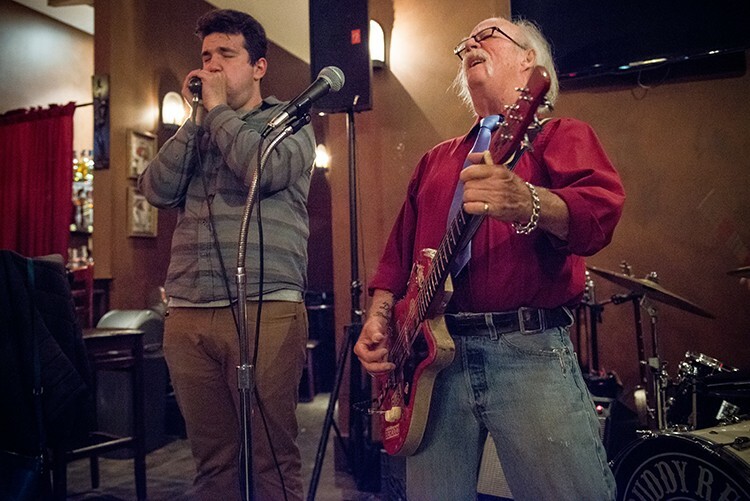 This year's headliner is bluesman Buddy Reed, known for rippin' it up with his band in spots around the county. Maybe you've read about him ("Buddy's Blues," July 13). Buddy's hitting the road, heading out on his "Road to Nashville" tour, and the 2017 fest is sending him off with some hometown love. Also bringing the emotion to the stage are favorites Mad River Rounders, Blues Through the Years, Jenni & David and the Sweet Soul Band, Blues Rollers and the Uptown Kings. In addition to serving up tasty blues all afternoon, the festival's got beer from Lost Coast Brewery, fine local wine and smokin' barbecue from Blackberry Bramble BBQ.